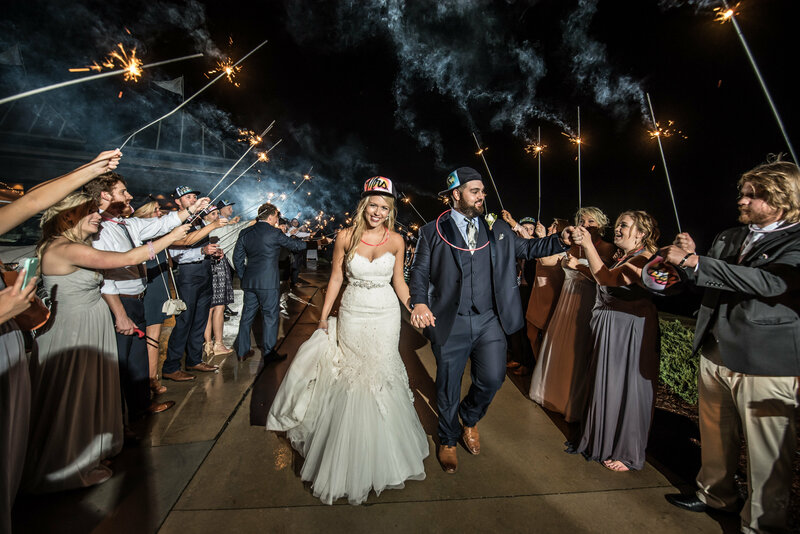 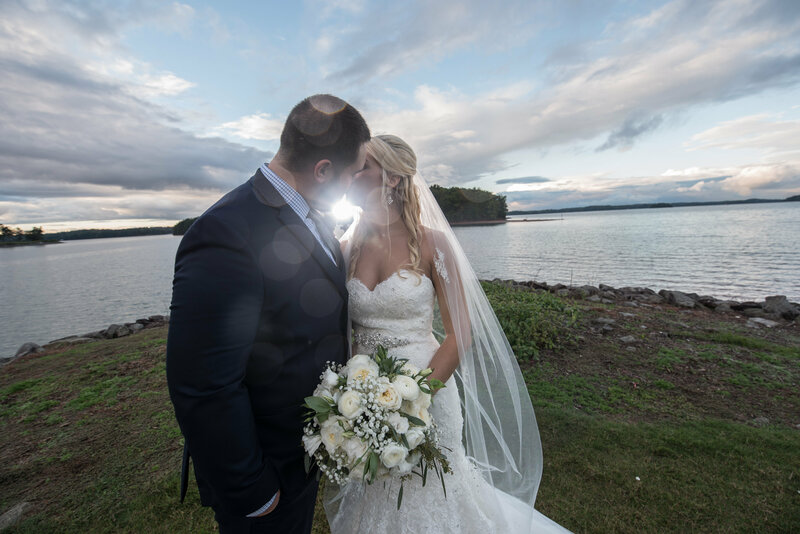 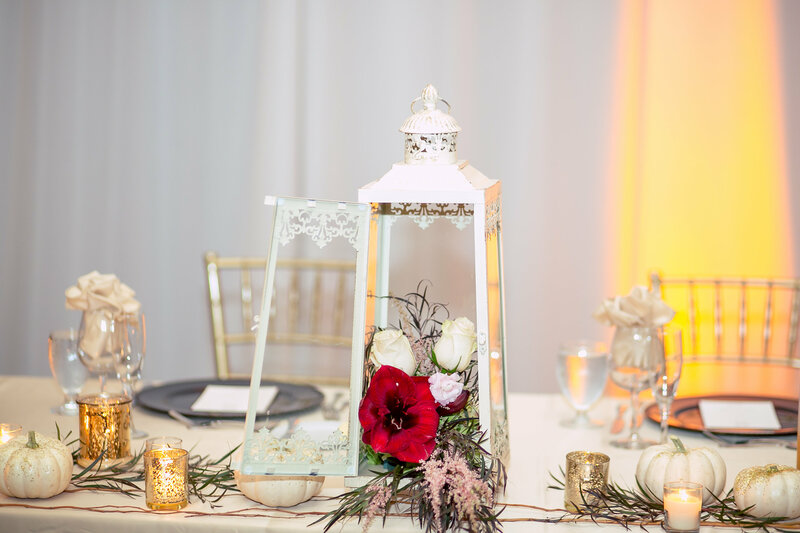 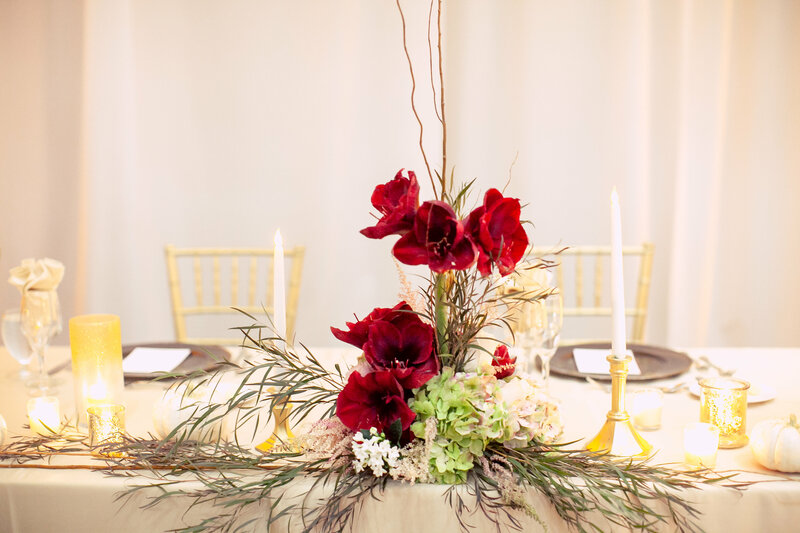 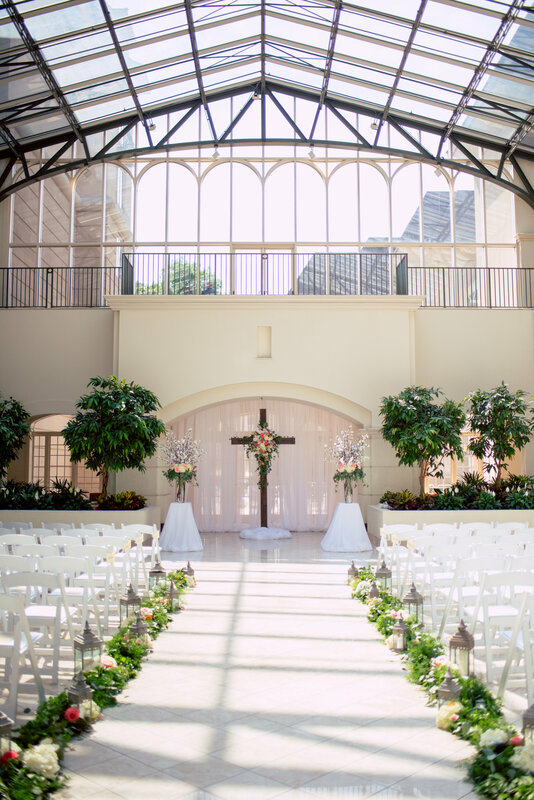 Nicole and Dustin were married at the Robson Event Center where candles and perfectly placed greenery set a natural, yet elegant ceremony and reception. 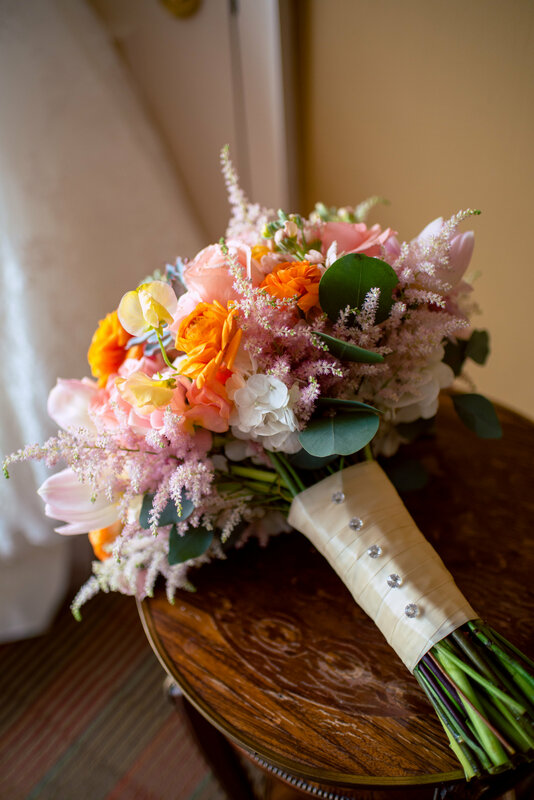 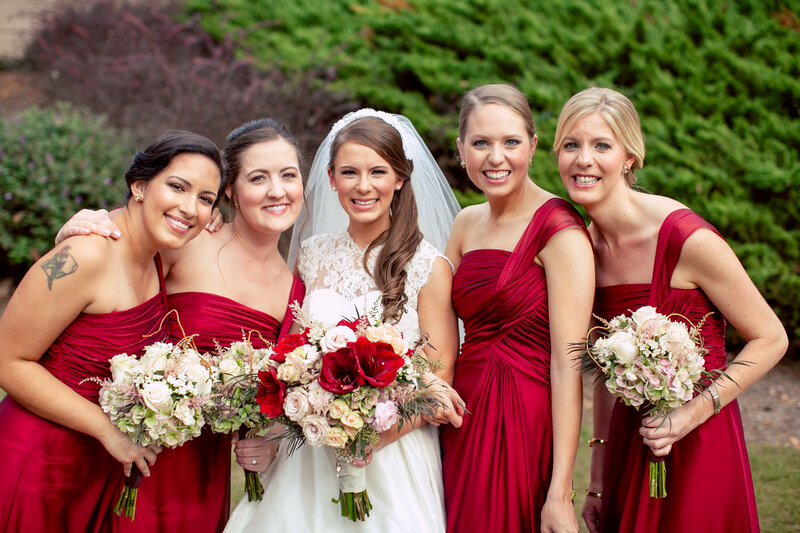 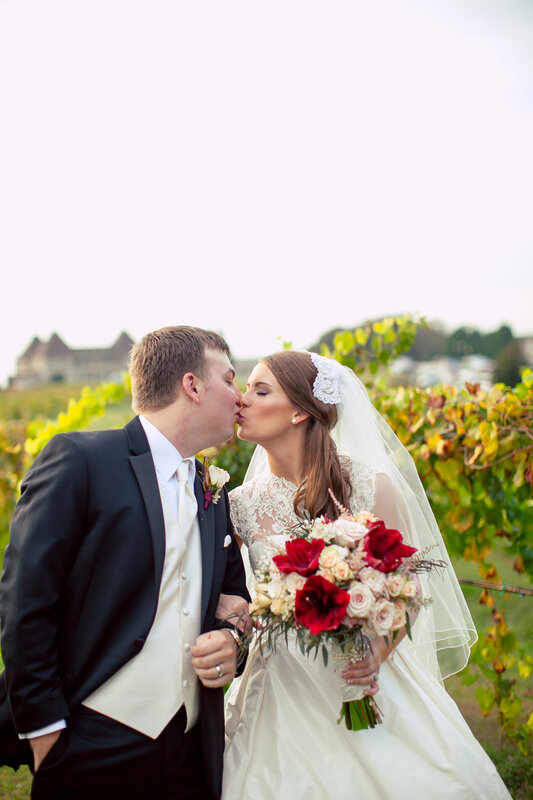 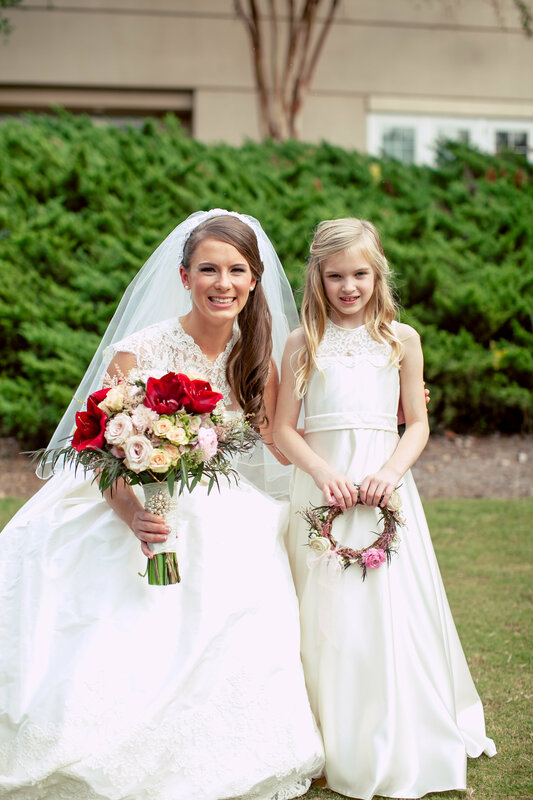 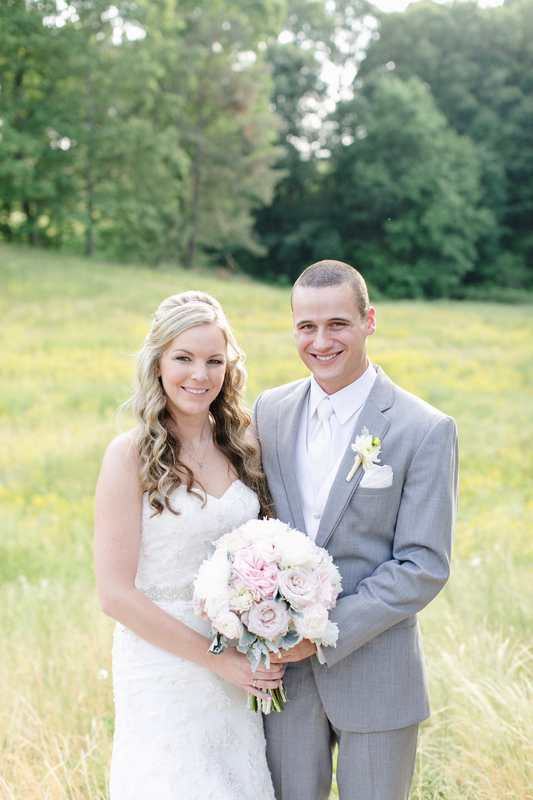 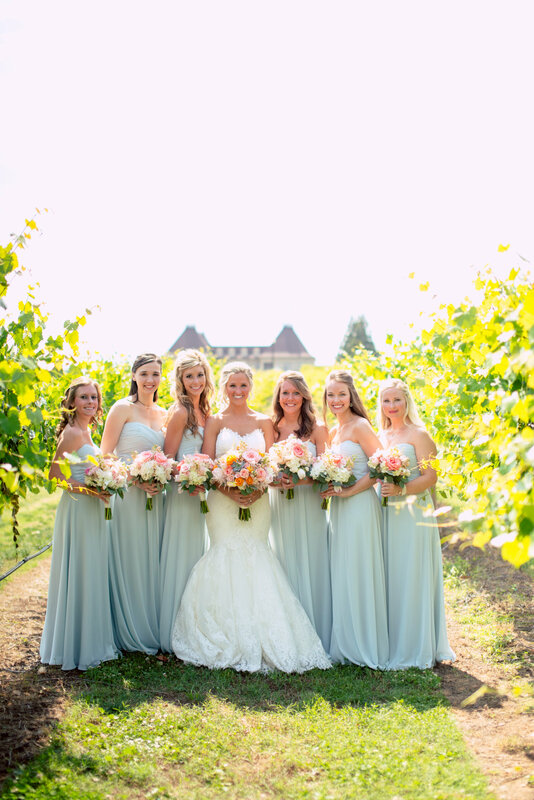 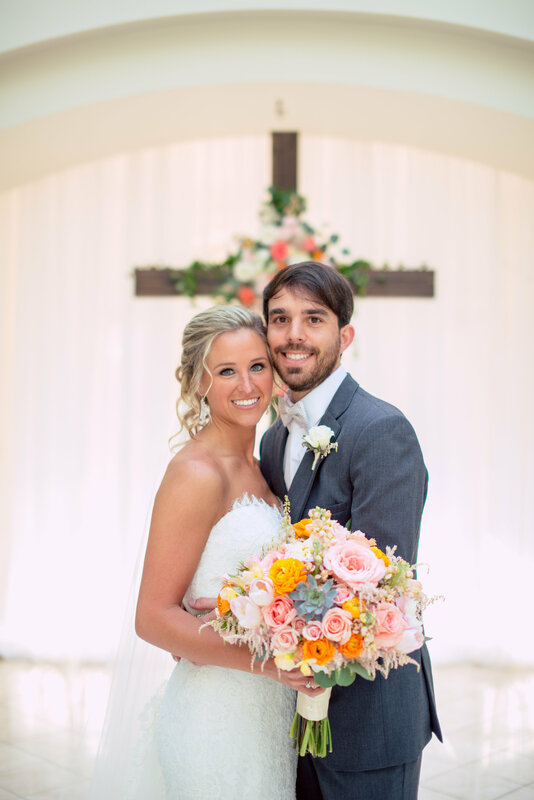 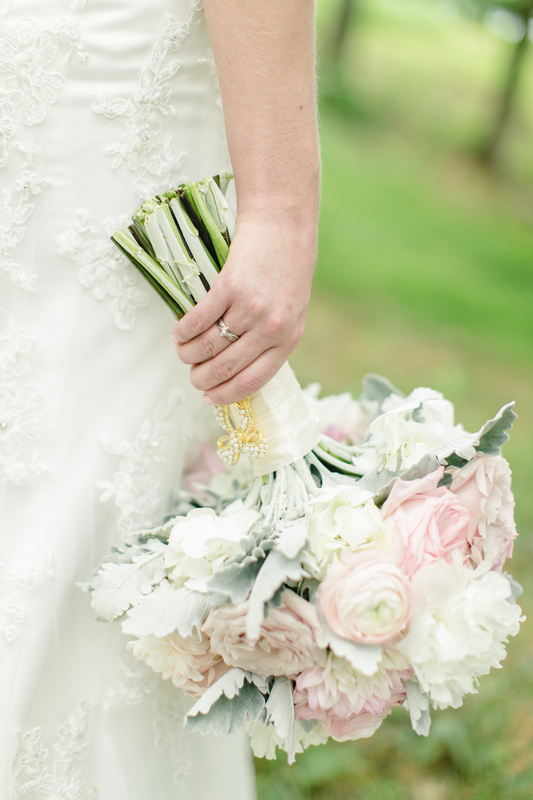 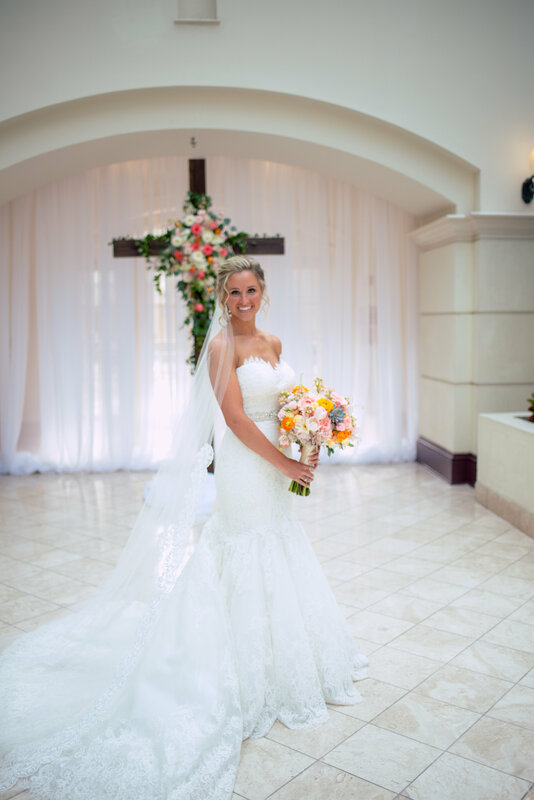 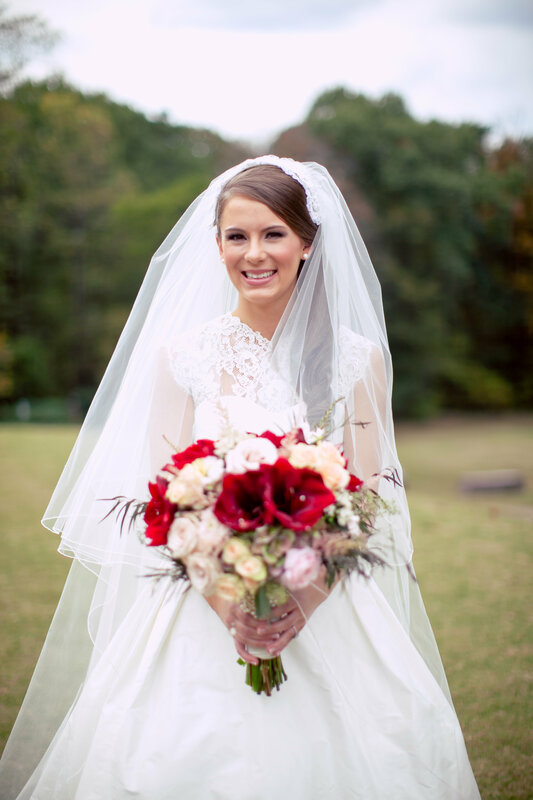 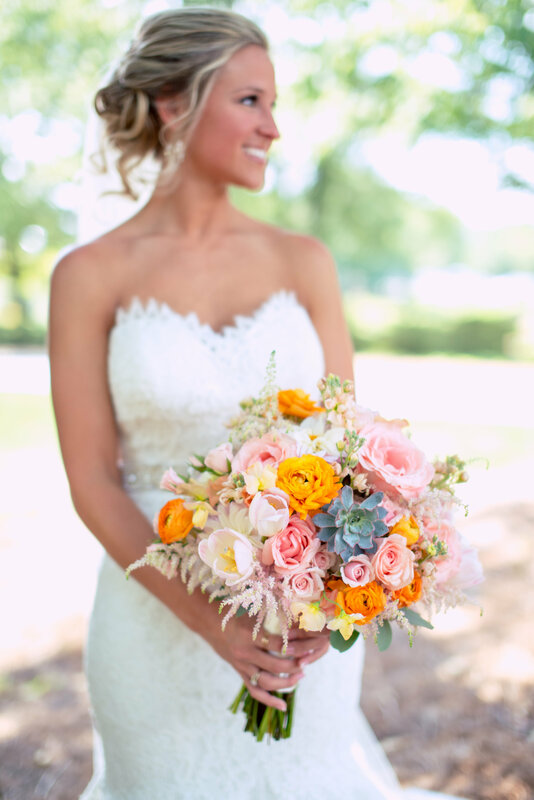 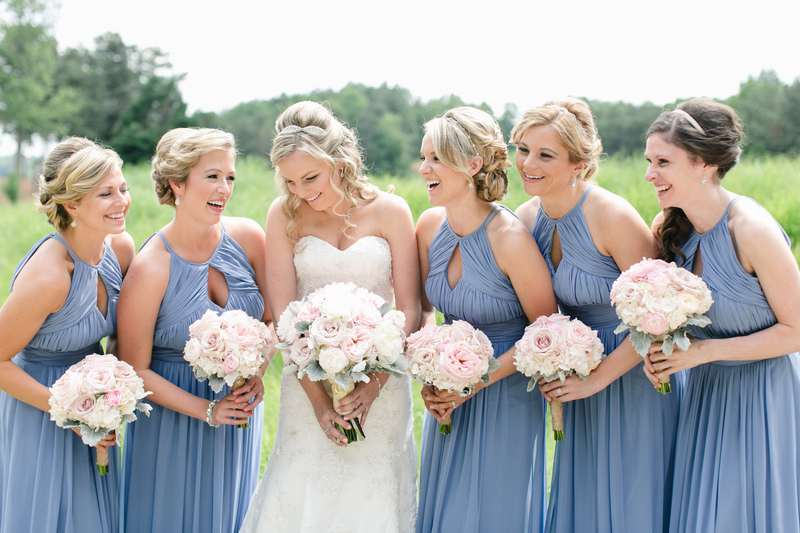 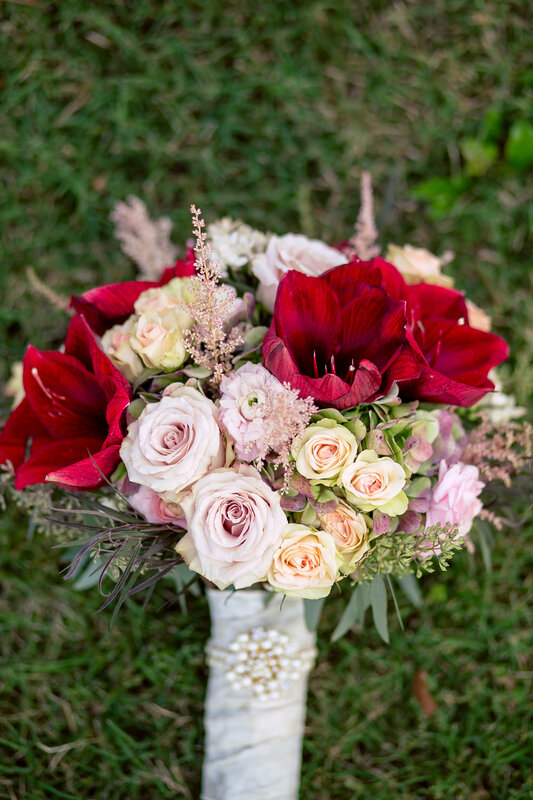 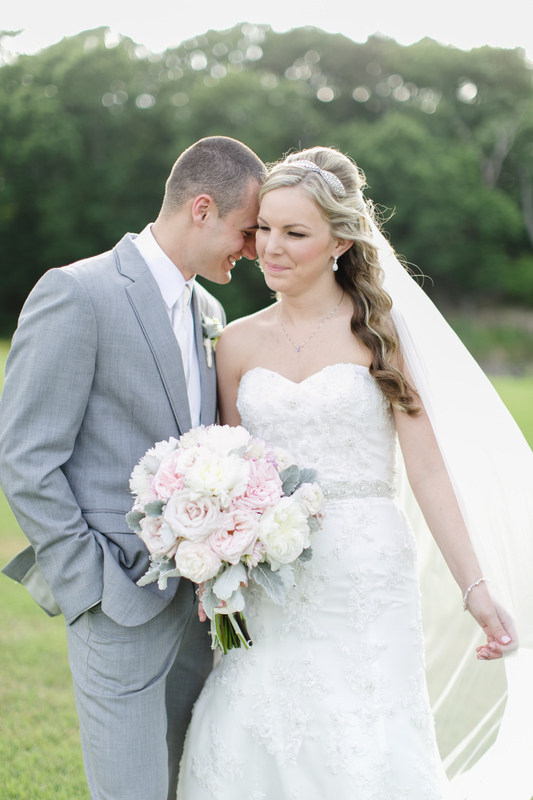 Nicole’s bouquet may be one of our favorites! 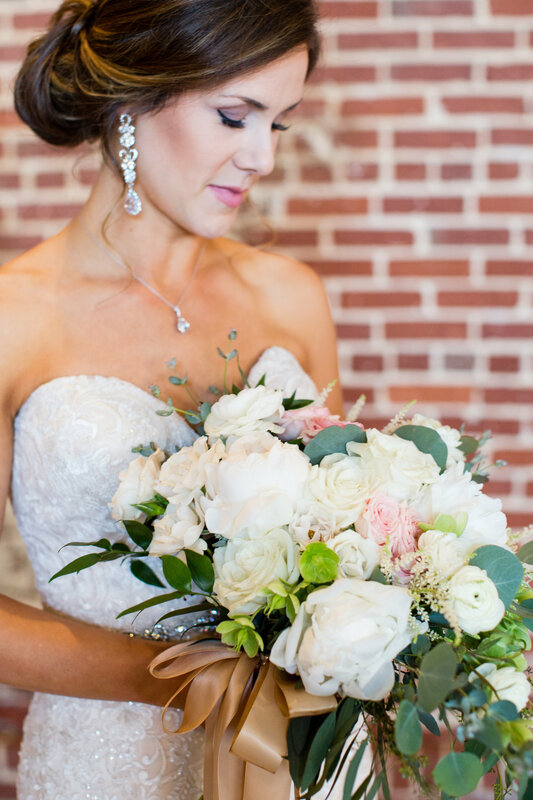 This beautiful bouquet was designed with blush peonies, white snow roses, white ranunculus, seeded eucalyptus, and bay leaf foliage. 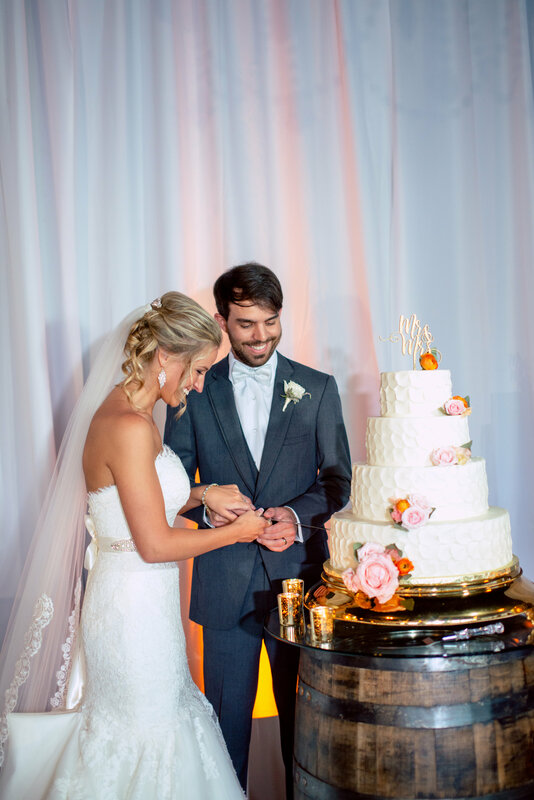 This Dream Day setting was superbly unique with ivory, blush, and gold accents surrounded by intimate candelabras. 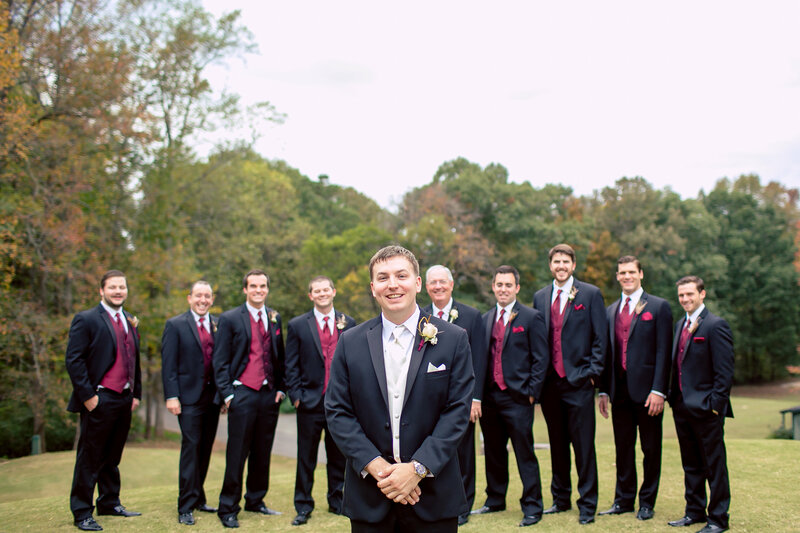 Thank you to Asterisk Photography for these photos. 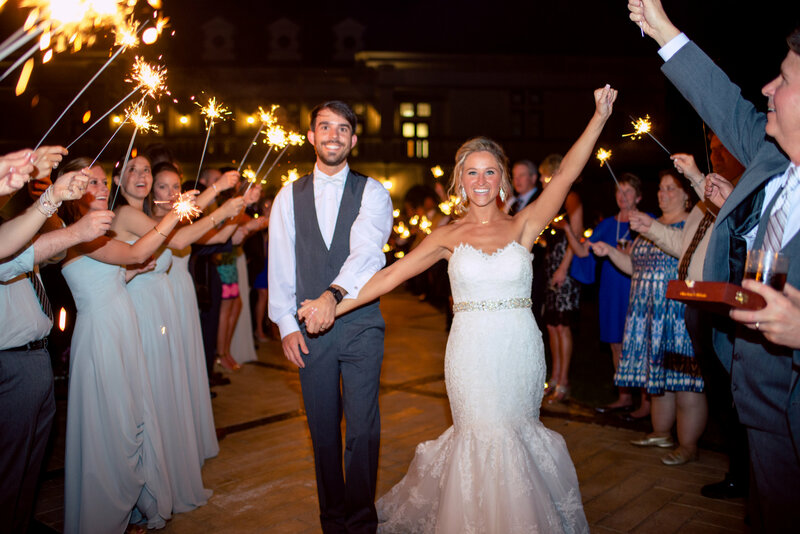 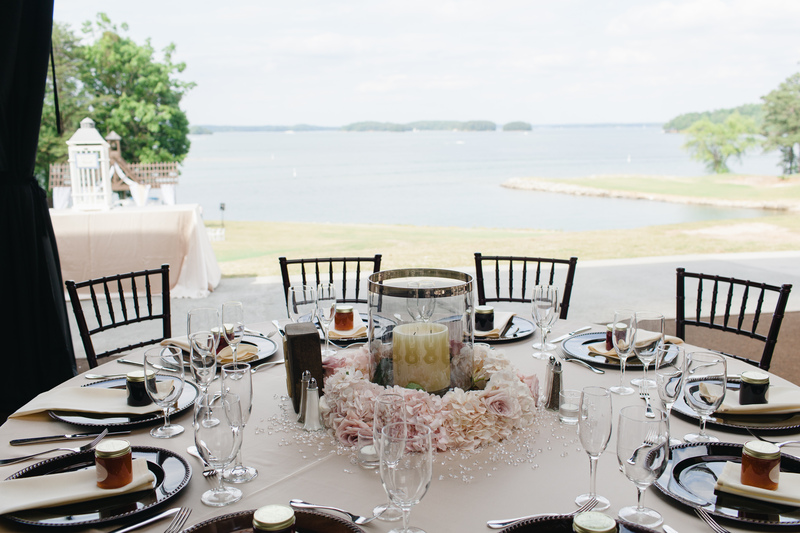 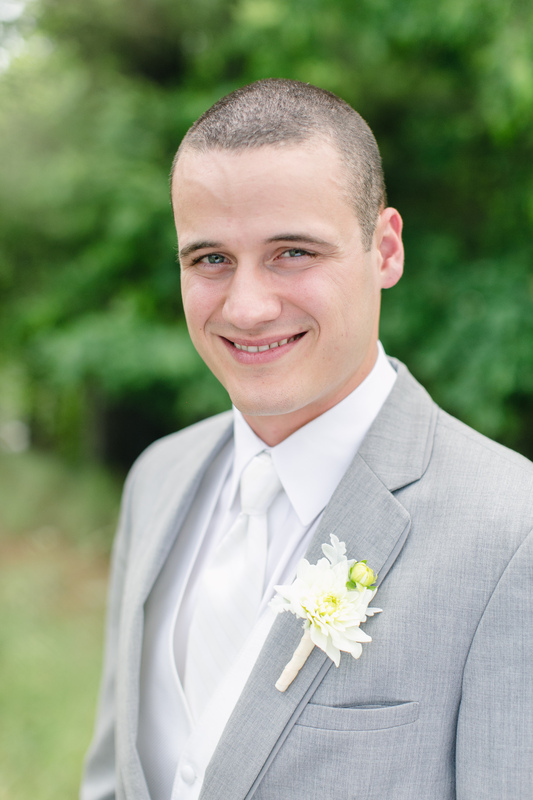 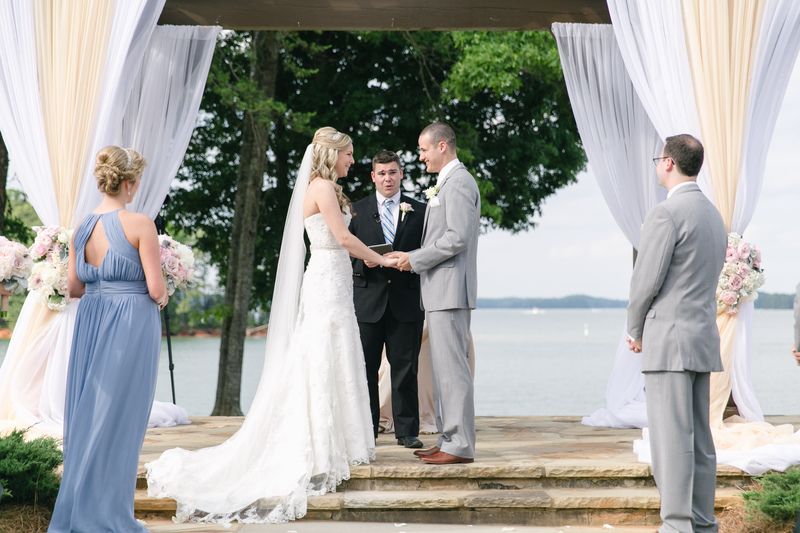 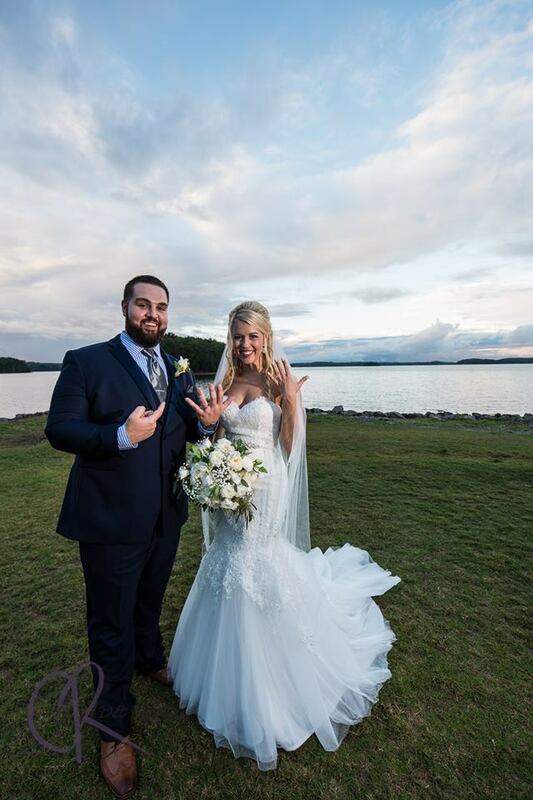 Another amazing wedding at Pineisle Pointe, Lake Lanier Islands. 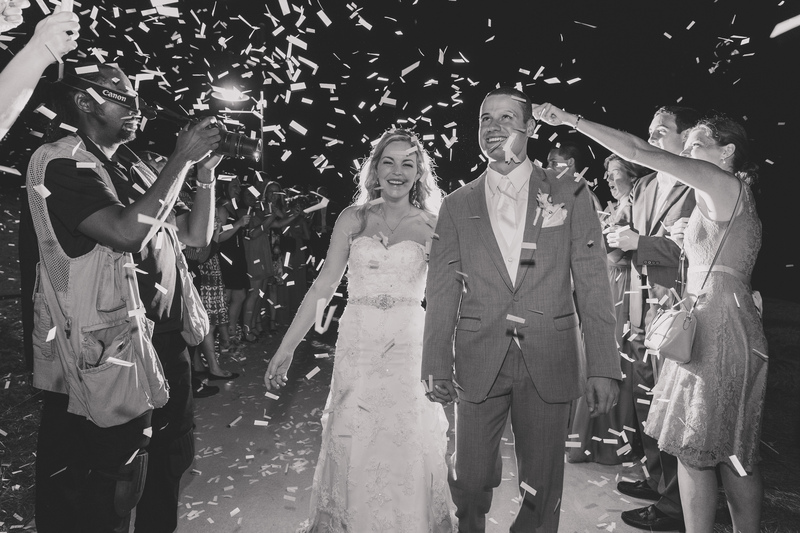 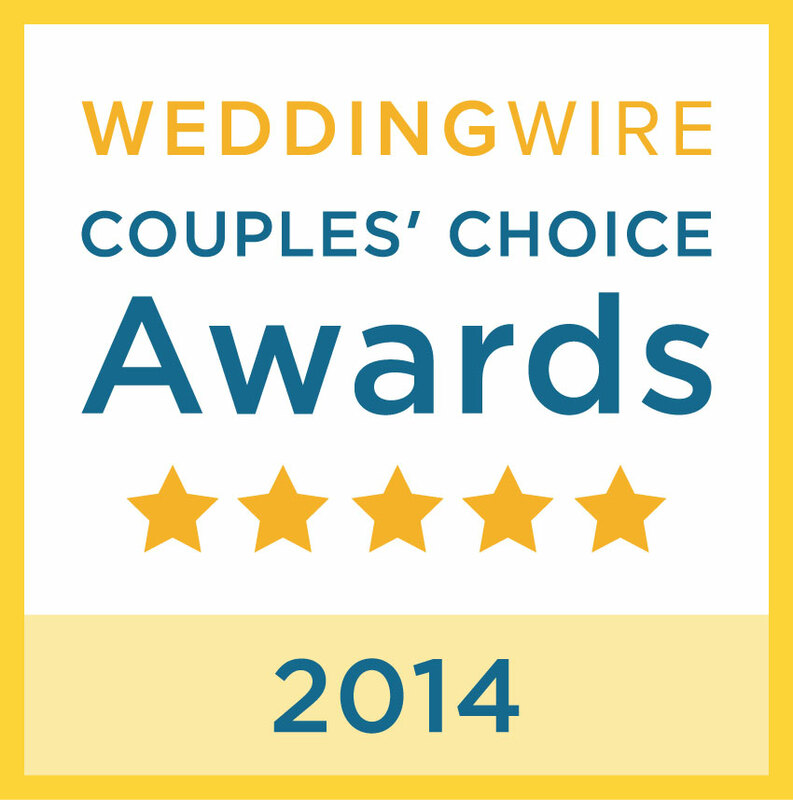 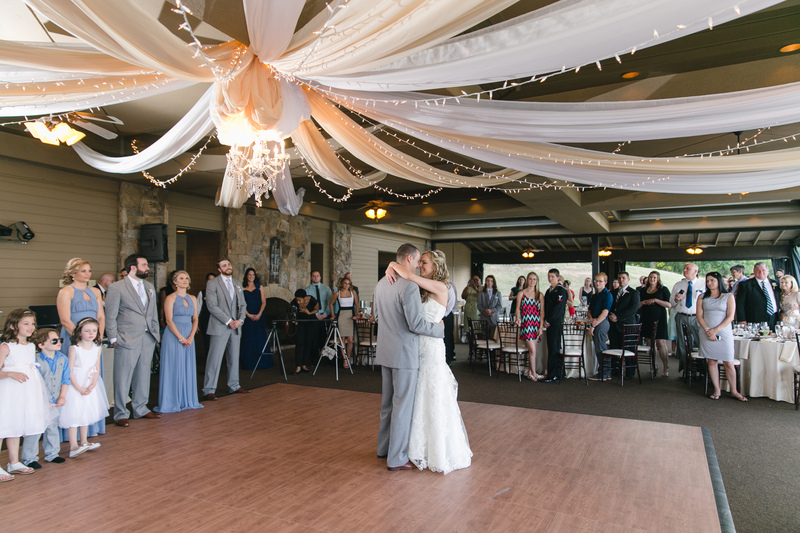 Amber and Clinton won the Star94 and Legacy Weddings dream wedding contest. 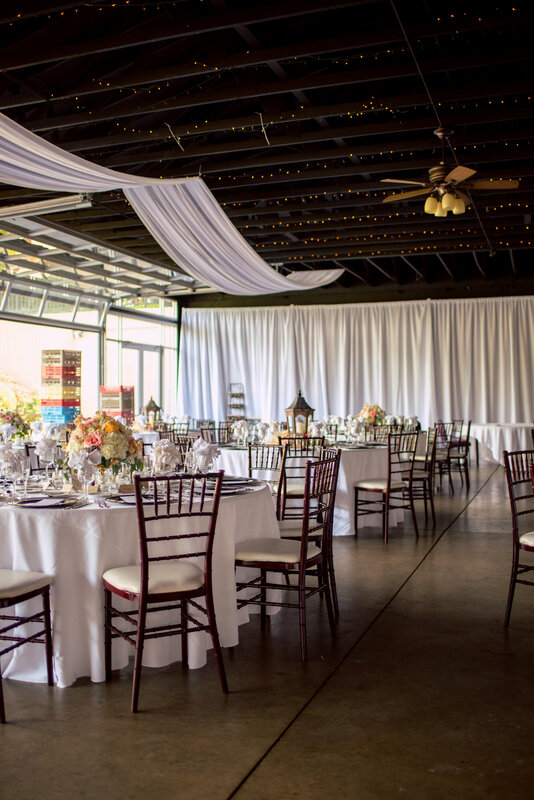 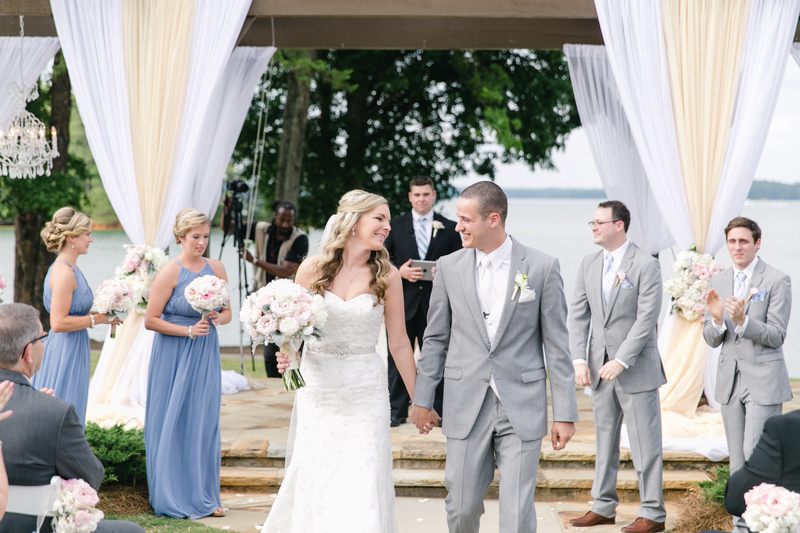 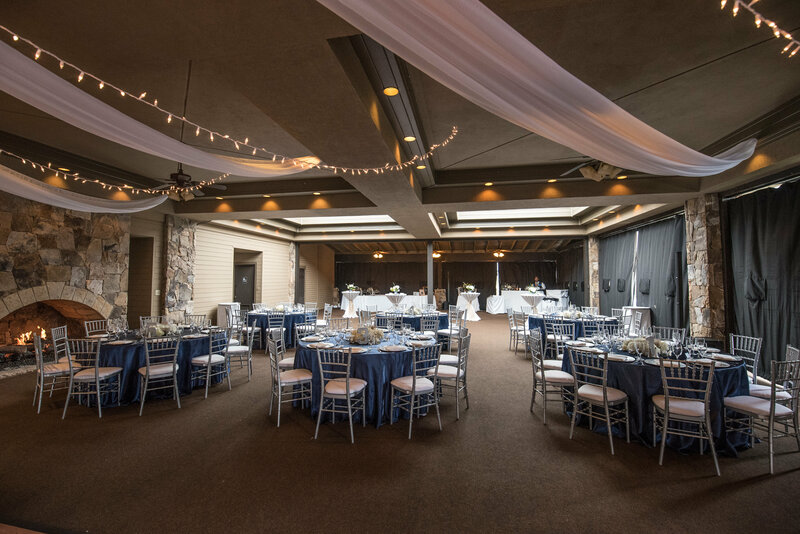 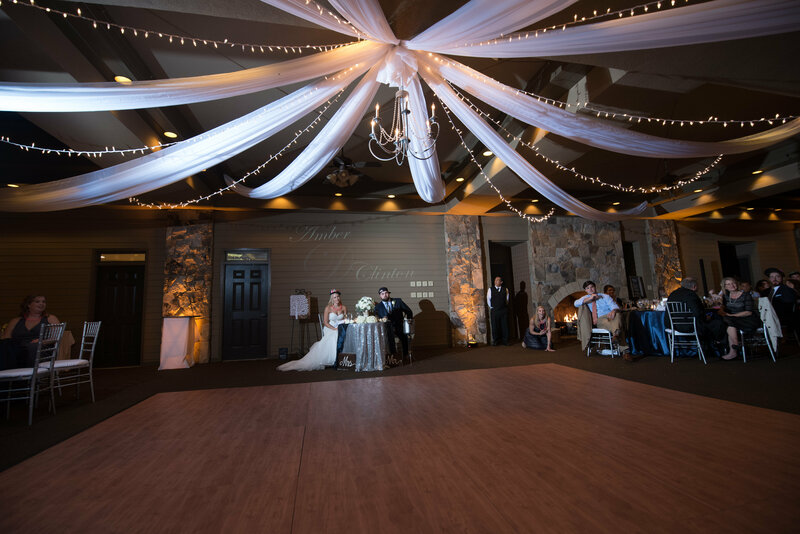 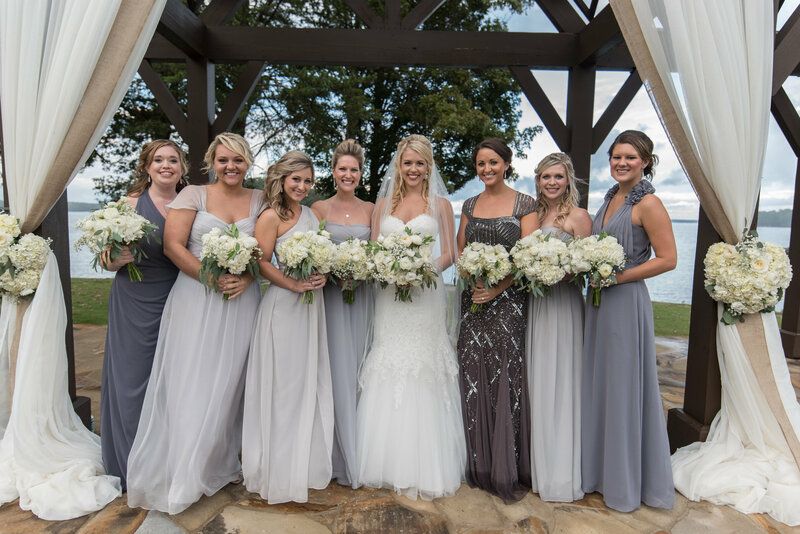 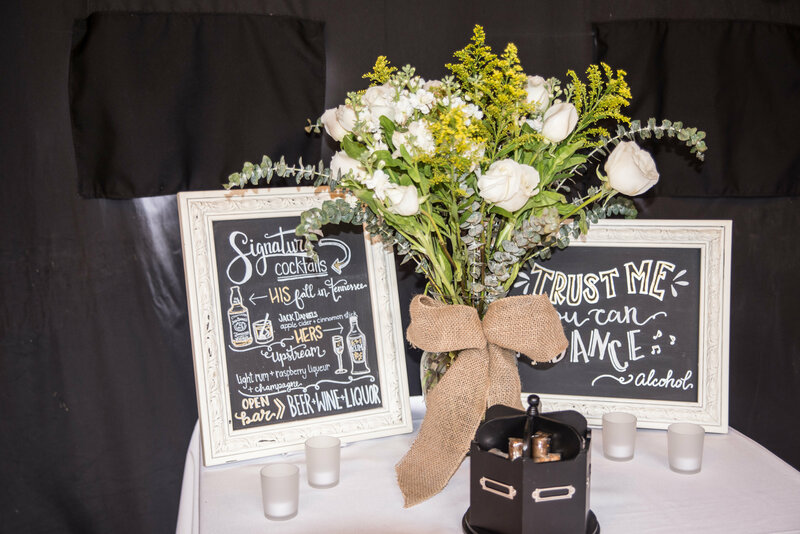 We loved designing with the gorgeous grey and navy-colored theme! 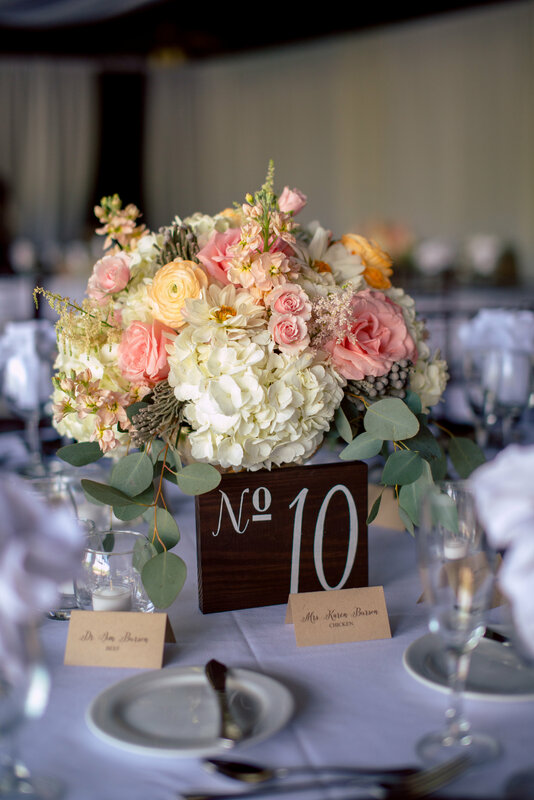 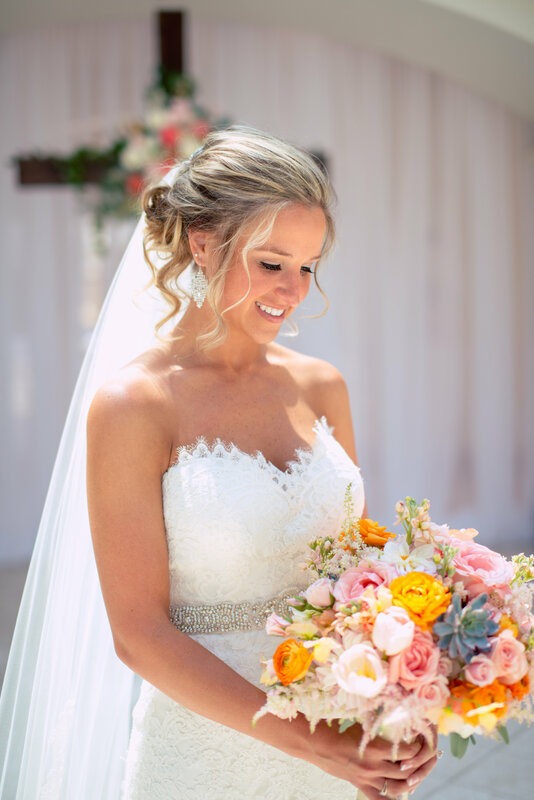 Design House created the gorgeous Amber’s bouquet accented with white hydrangeas, garden roses, white ranunculus, white lisianthus, a touch of babies breath, and seeded eucalyptus. 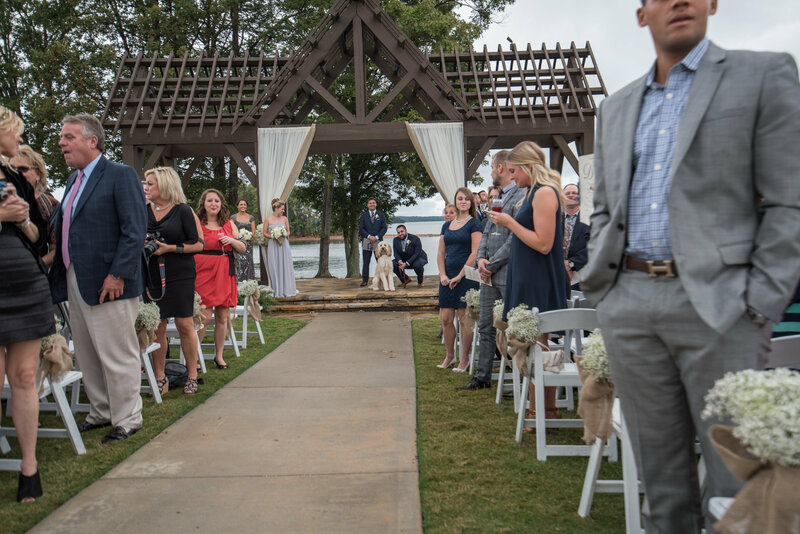 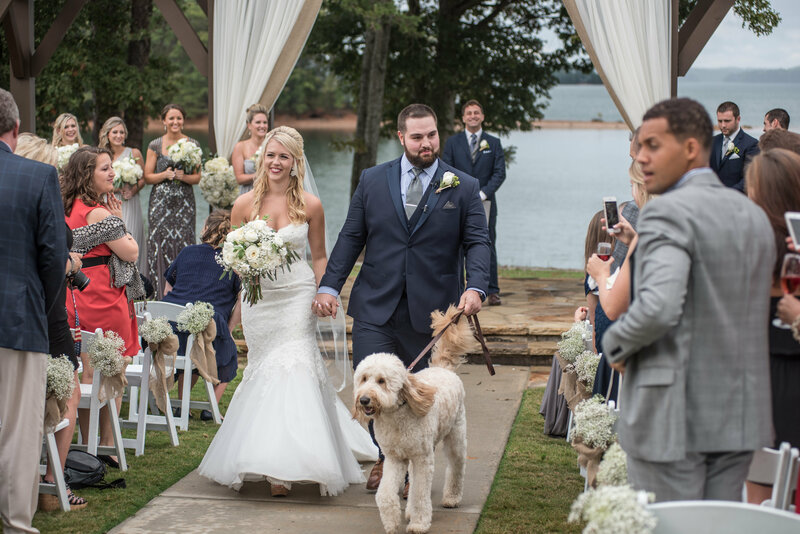 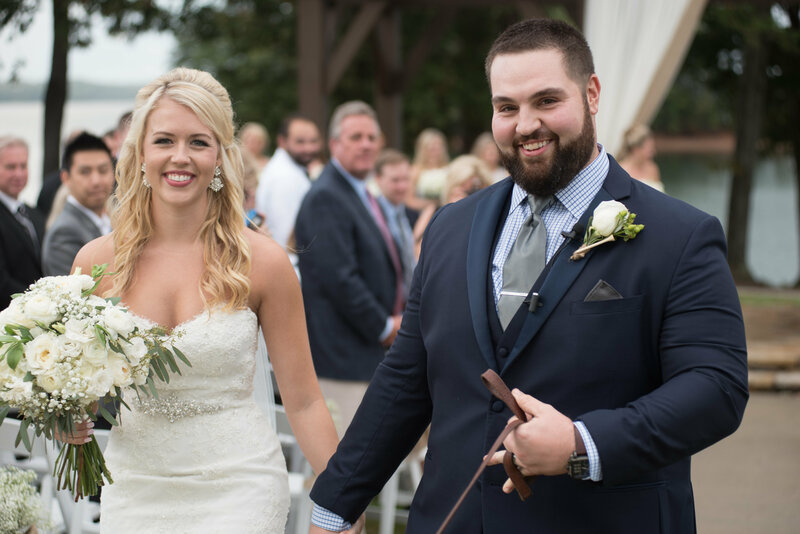 This outdoor ceremony was filled with all the beautiful touches including elegant altar draping, burlap and babies breath aisle markers, beautiful dove releases, and Amber and Clinton’s sweet furry four-legged Golden Doodle. 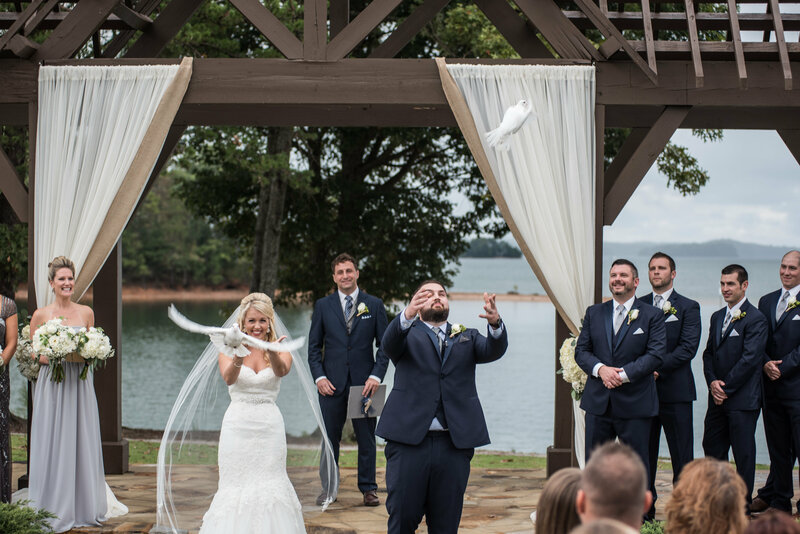 On to the reception, and these two certainly know how to have fun! 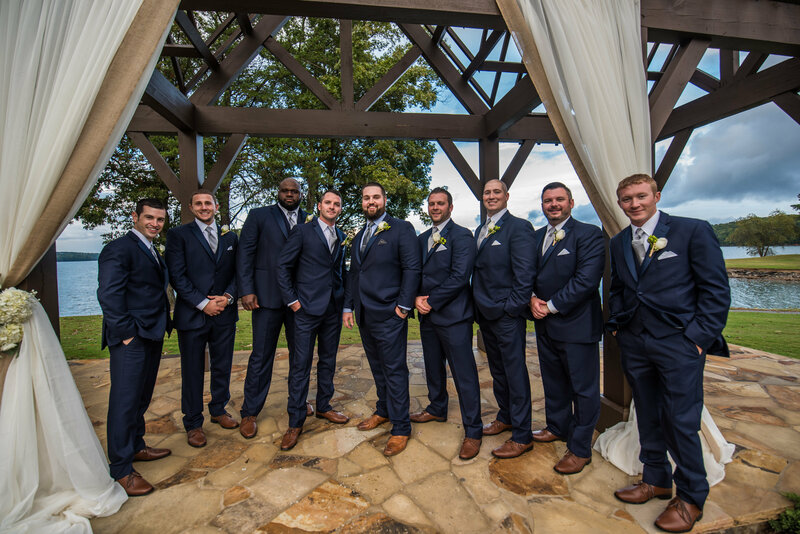 Thank you to Gene Phillips Photography for these photographs. 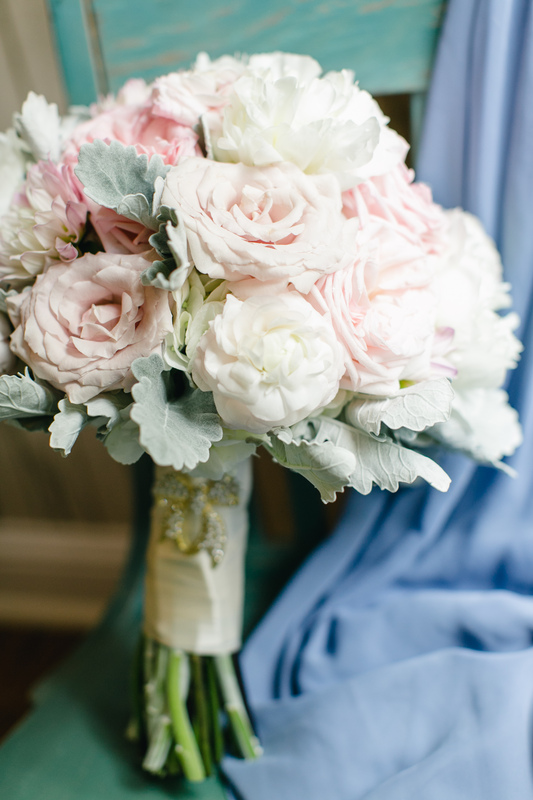 Also, here is a beautiful video to enjoy! 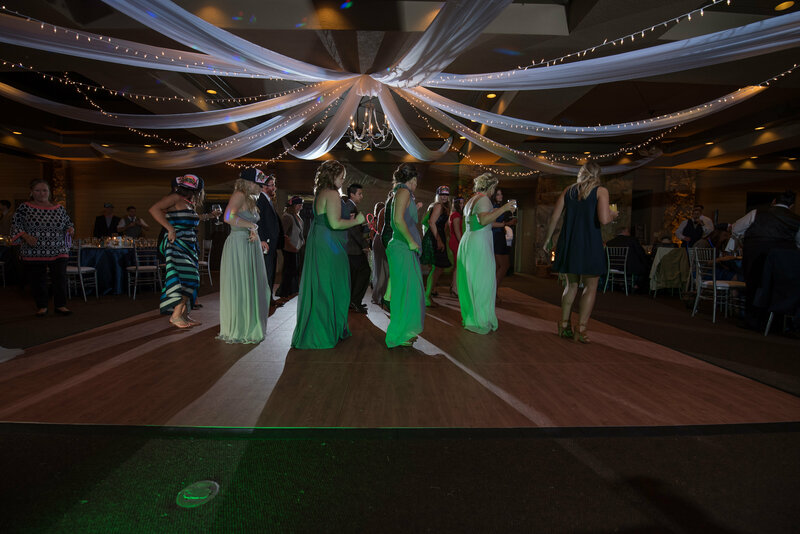 Thanks to D&R Films Video and Photo. 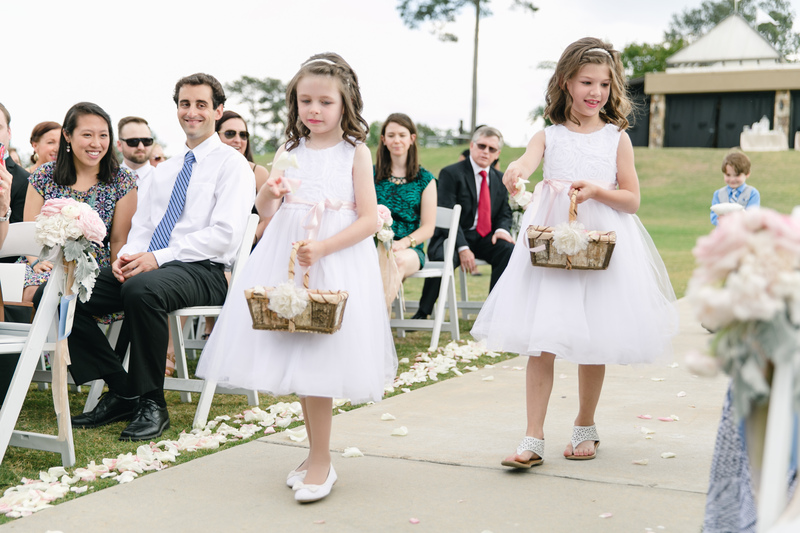 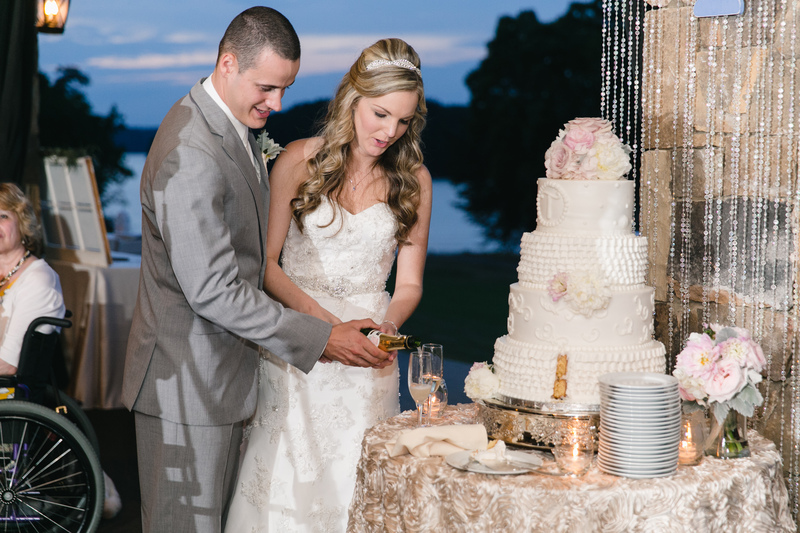 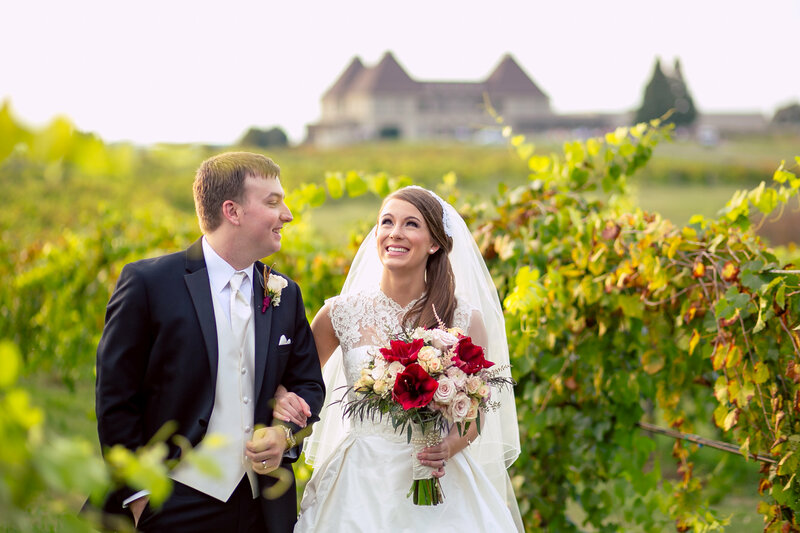 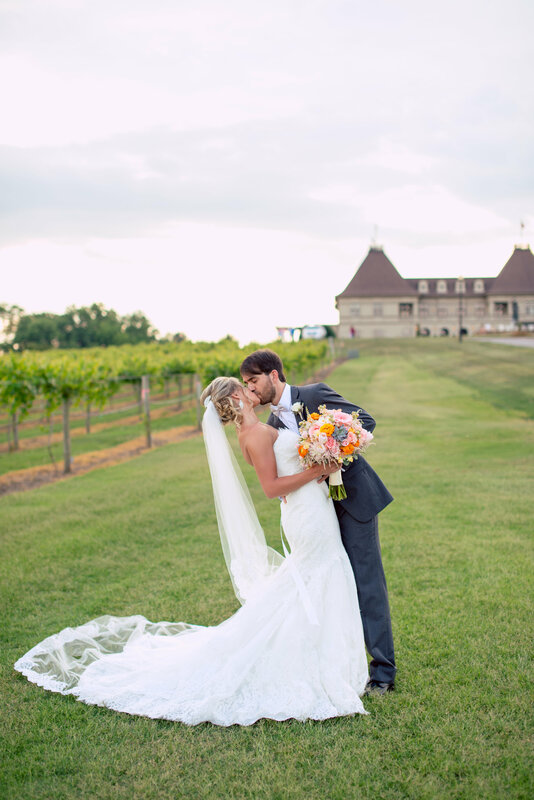 A Classic Southern Style wedding for April and Matt who married at the gorgeous Chateau Elan Winery & Resort. 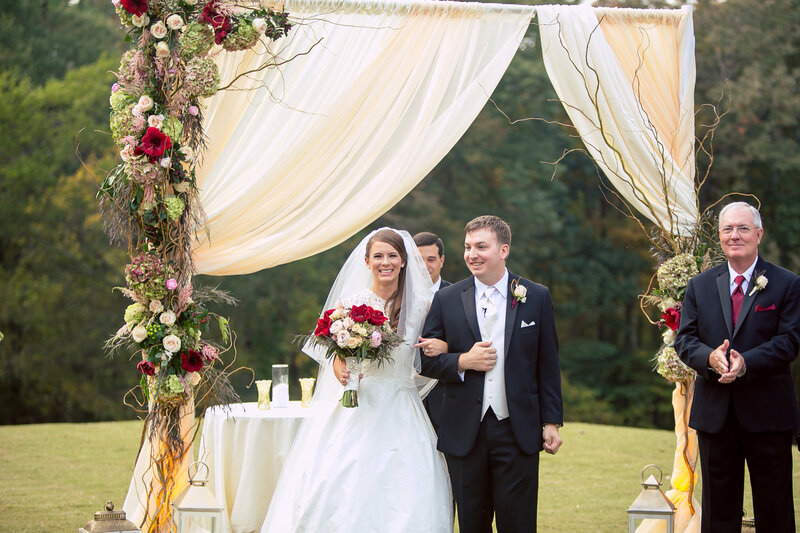 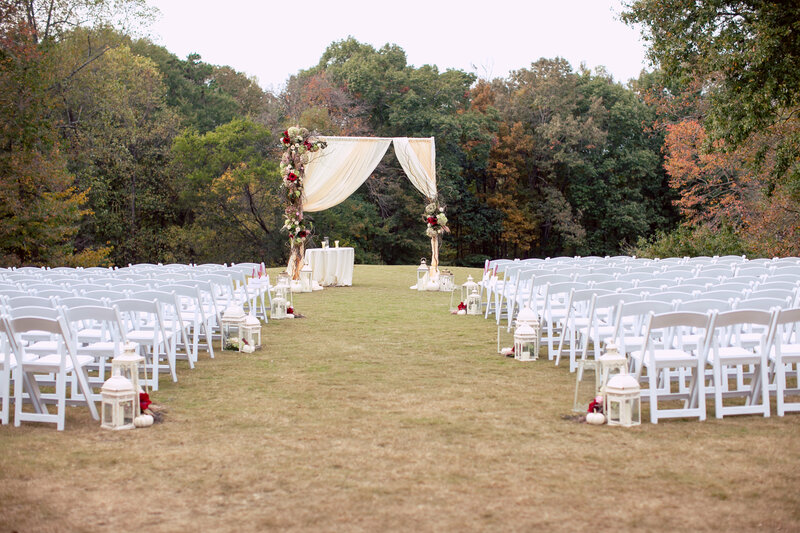 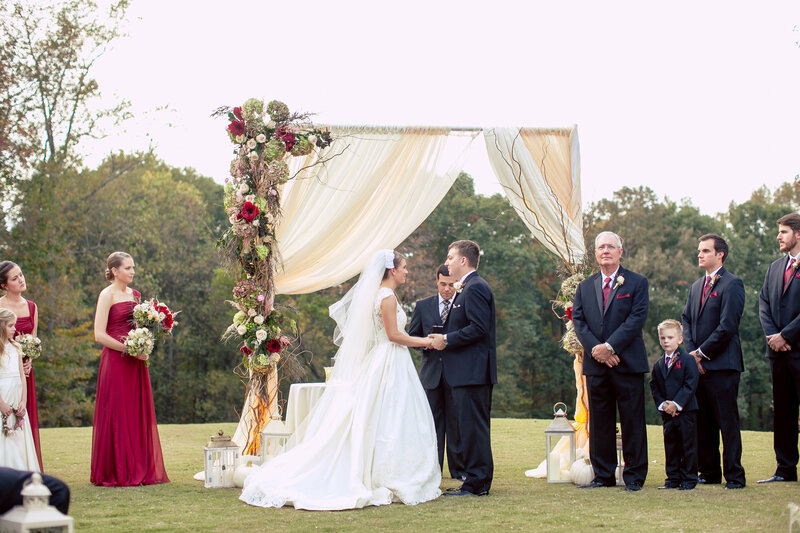 This was absolutely a jaw dropper with burgundy, blush pinks and vintage style decor setting this outdoor ceremony. 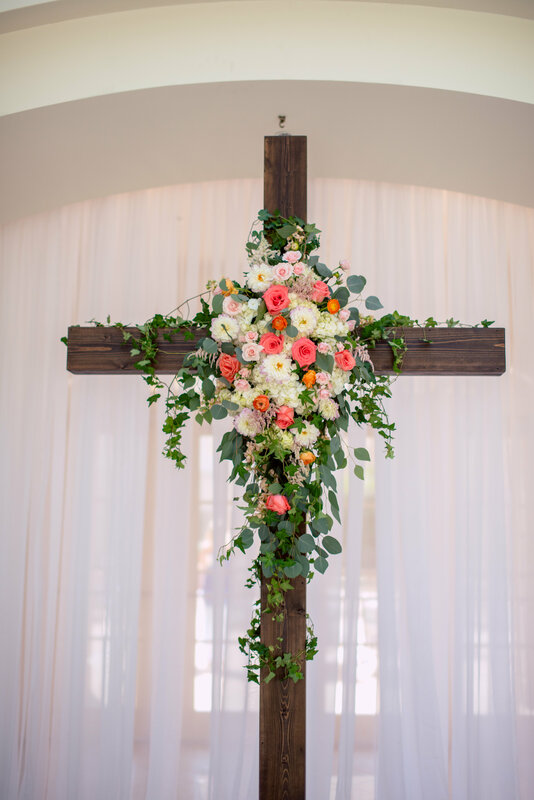 Notice the rustic altar grapevines designed with an array of antique green hydrangeas, spray roses, berries, and burgundy amaryllis. 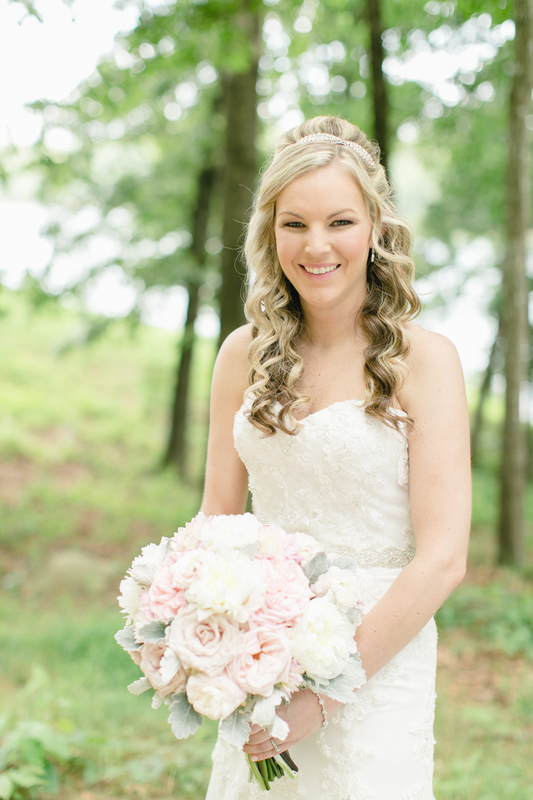 April was radiant with such a beautiful smile. 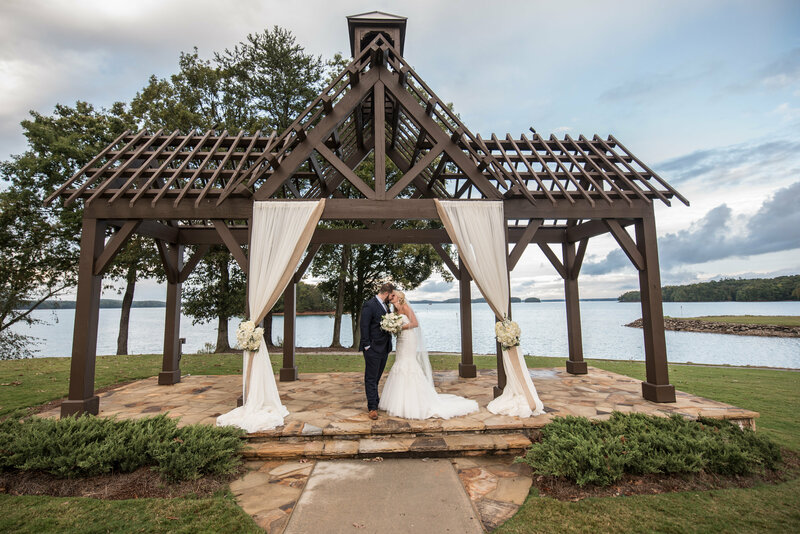 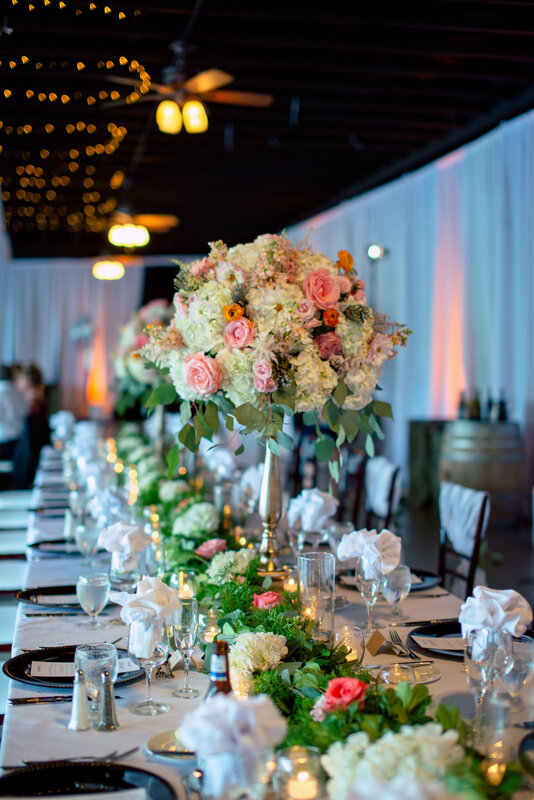 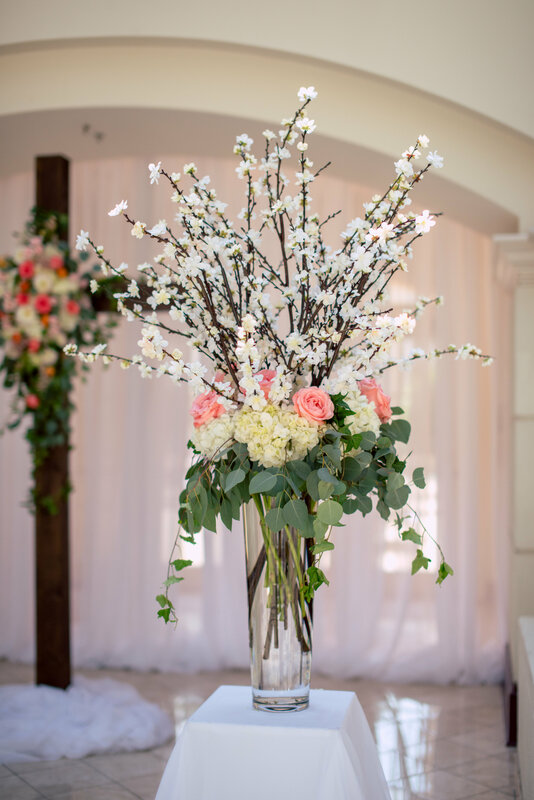 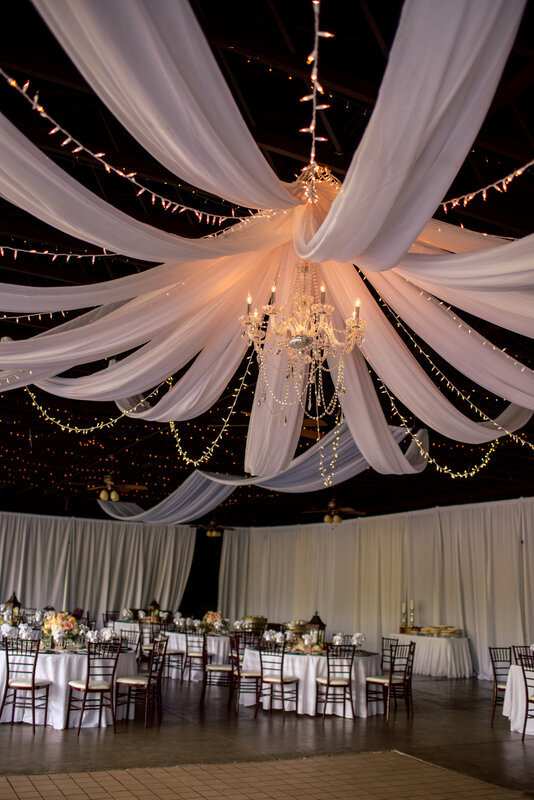 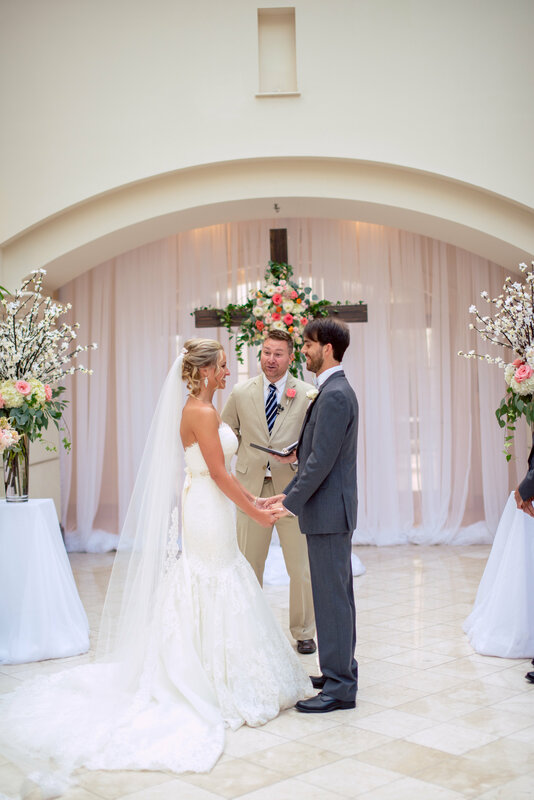 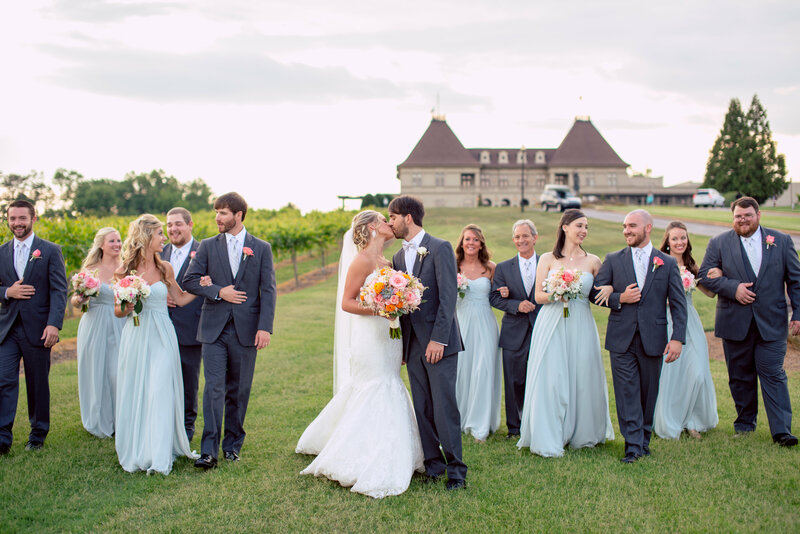 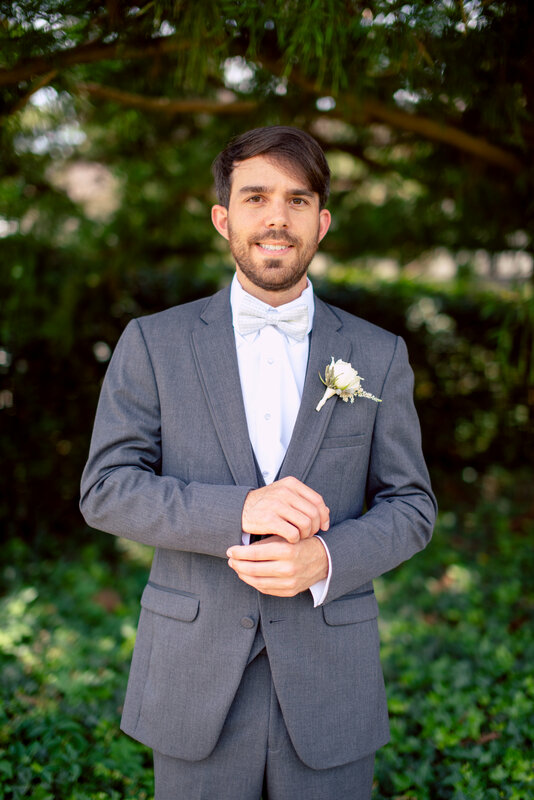 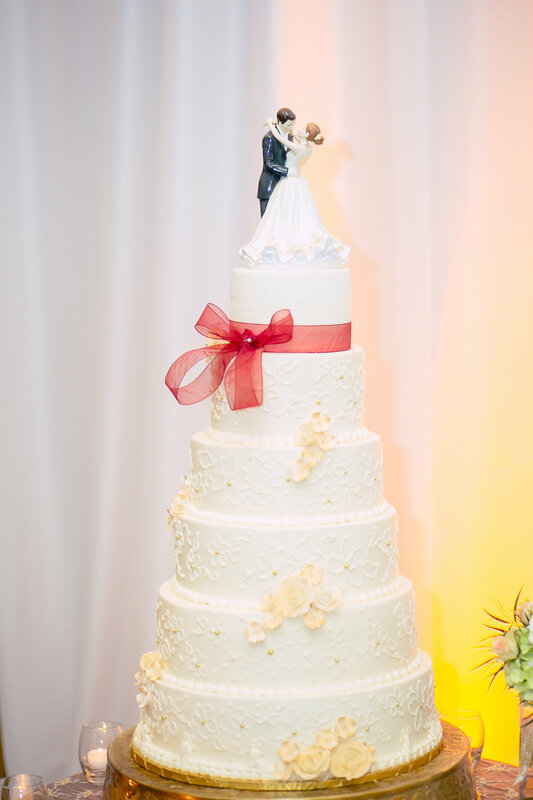 The charm and elegance of this memorable day gathered with family and friends got even better at the Chateau Elan’s Debussy Ballroom Reception. 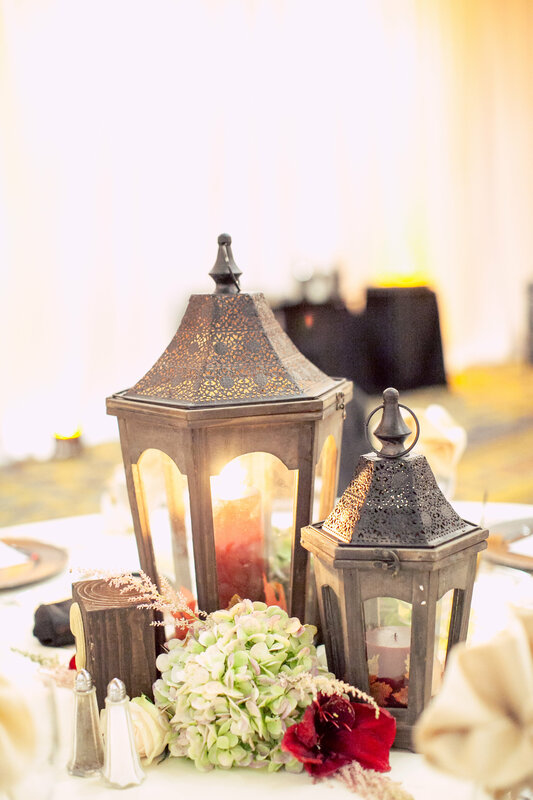 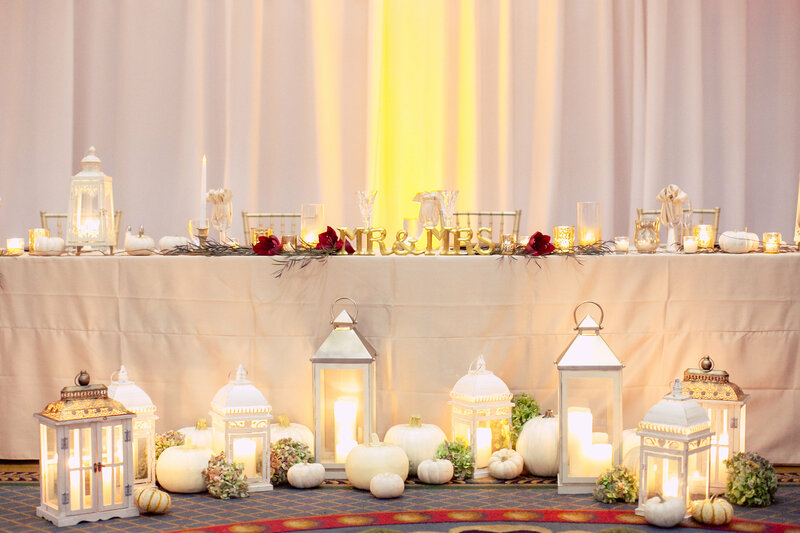 Romantic lanterns, floating candles, glowing votives, with gorgeous fall pumpkin decor are just the perfect Details that Design House loves to showcase. 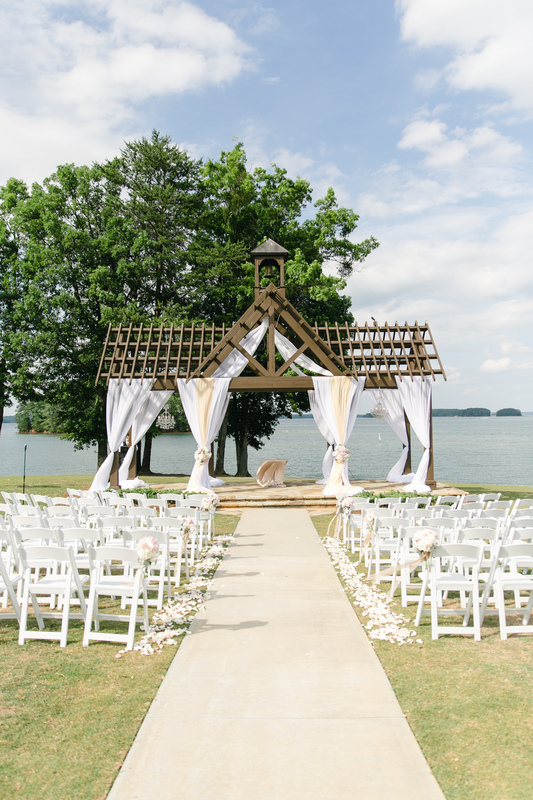 Thanks to Once Like a Spark Photography for these photos.